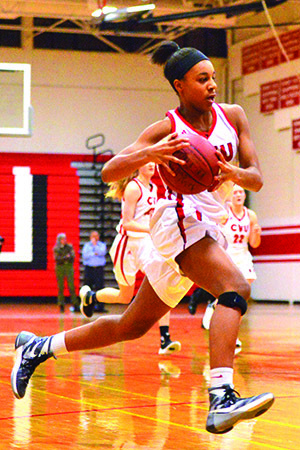 Mekkena Boyd makes her drive to the hoop during CVU’s game vs BFA St Albans on Tuesday the 14th at CVU. Marleee Gunn shoots free-throws during CVU’s game vs BFA St Albans on Tuesday the 14th at CVU. 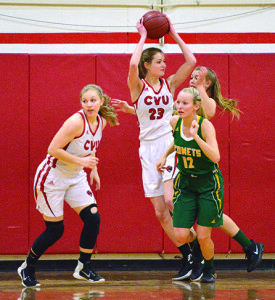 Shannoon Loiseau pulls down a defensive rebound during CVU’s game vs BFA St Albans on Tuesday the 14th at CVU.